The 2012 Economics of Corruption will focus on experimental and behavioral approaches to anticorruption. It is particularly directed towards PhD and Master-students who want to deepen their studies and share exchange on recent research. Findings from the lab and the field are surveyed, linked to survey-data and confronted with theory. Interactive tools such as games, poster presentations and case studies involve participants and make them acquainted with today's challenges. Prof. Johann Graf Lambsdorff and his team have spearheaded models for reform related to such issues as contract penalties, compliance systems, debarment, procurement, leniency and corporate liability. Participants are introduced into this body of research. They work in groups to develop and implement their own experiments and discuss their findings. PhD-students are invited to present their findings (theoretical or empirical) in the form of a poster-presentation. This international event is offered on a pro bono basis. There is no tuition fee. It is directed towards graduate and post-graduate students and faculty in the social sciences. Program: The program is available here. Dr. Amadou Boly, United Nations Industrial Development Organization, Vienna, "External Validity of Corruption Experiments"
Prof. Dr. Bernd Irlenbusch, University of Cologne, Germany, "Moral Hypocrisy"
Prof. Dr. Danila Serra, Southern Methodist University, Dallas, USA, "Anti-Corruption Policies: Lessons from the Lab"
The event consits of guest presentations by selected experts, case studies, group discussion, games and poster presentations. The course is restricted to successful applicants (information see below). For registration please send an email to Mrs. Maxie-Lina Mehling. Requirements: PhD-students and advanced scholars are invited to present a poster covering their latest research or findings from an anticorruption project, theoretical model, field study or laboratory experiment. More information on the poster presentations is available here. Prospective participants must apply by completing the application form. 40 participants have already successfully registered for the event (23 students from Passau and 17 external participants, mostly PhD-students). The deadline has been extended until Sep 10, 2012 to allow for a limited number of 5 more participants. Please send your application to Ms Maxie-Lina Mehling. The excellence of the application is judged on the academic background, motivation and, if submitted, the quality of the poster presentation. No limits are put on methodology or academic disciplines. Posters can be empirical, theoretical, experimental or of more practical relevance. While participation is free of charge, we do not provide funding for travel or lodging. Course material will be made available online. Ca. 20 EUR will be collected to cover two evening events. Exam: A final exam is offered on October 18, 2012, from 2-4 p.m. Students receive 5 ECTS credit points, based on group work (50%) and the exam (50%). 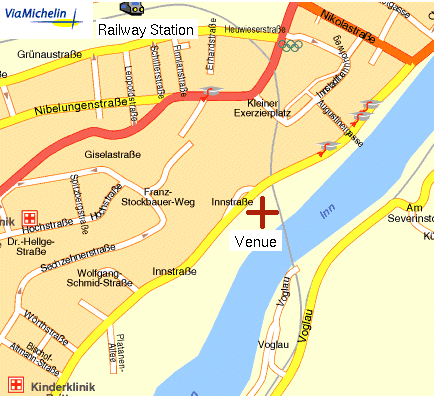 Accommodation: The City of Passau provides all ranges of accommodation. A list of selected hotels including prices and contact information is available here (Excel-File). 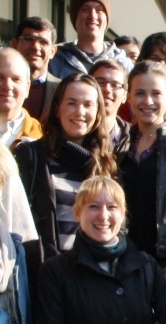 You may also go the webpages of the Passau Tourist Information. Participants are asked to arrange accommodation on their own. We are asking students from Passau to volunteer in making guest rooms at their apartments available. Please indicate your willingness to offer or request such an opportunity. 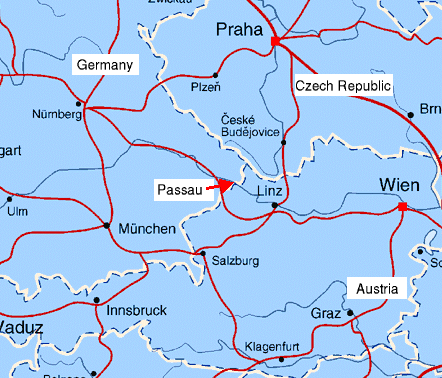 The City of Passau is located at the German-Austrian border, about 150 km east from Munich. It can be reached by train from Munich International Airport, Frankfurt International Airport, Linz International Airport and Vienna International Airport. The venue is in walking distance from the railway station. Lambsdorff, J. Graf (2009), The Organization of Anticor-ruption - Getting Incentives Right. In: Corruption, Global Security, and World Order, ed. by R. Rotberg, (The Brookings Institution Press: Washington, D.C., 2009): 389-415. Serra, D. and L. Wantchekon (eds.) New Advances in Experimental Research on Corruption, Research in Experimental Economics volume 15, Emerald Group Publishing. Further literature, case studies and course material will be mailed to accepted participants. 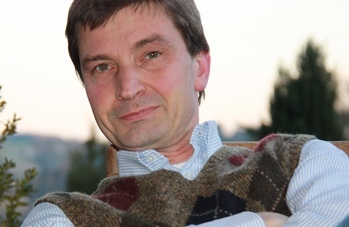 Prof. Dr. Bernd Irlenbusch, University of Cologne, Germany, "Moral Hypocrisy and the Use of (Un)Fair Decision Procedures"
impressum Innstr.27 - 94032 Passau - Germany - Fax: +49(0)851-509-2492 - last change 2012/10/15, 10:35.